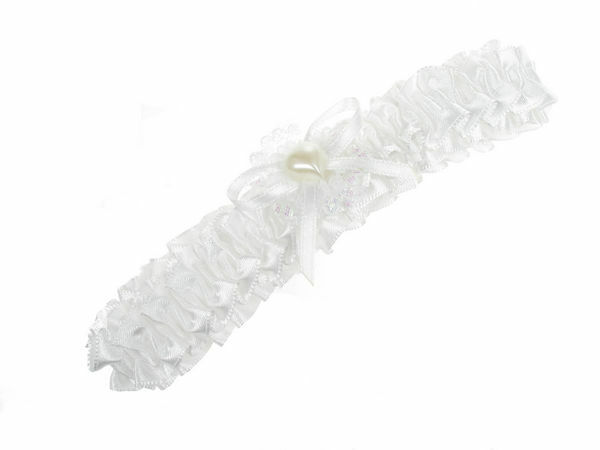 Why not add a little bit of fun to your outfit with this white coloured lace and bead garter? Perfect to go with your outfit on your wedding day! Great fun for brides of all ages!